I am just one parent of thousands that is the target parent in the henious act of parental alienation. Parental Alienation is abuse and until the courts and others involved in custody cases realize this, this criminal activity will continue. I am one voice with the hopes that I will be heard. Stop the abuse of children caught in the middle of custody cases by parents who can not put their childrens best interests above their own revenge tactics. 2012 Parental Alienation Awareness Day Events. This is a two (2)full day advanced training program for mental health professionals. Presenter: Dr. Kathleen M. Reay, Ph.D., D.A.A.E.T.S., a Diplomate of the American Academy of Experts in Traumatic Stress, an experienced licensed psychotherapist, researcher, public speaker, child custody evaluator and litigation-related consultant to parents, attorneys and the courts as an expert on parental alienation and parental alienation syndrome. Dr. Reay is also the author of Toxic Divorce: A Workbook for Alienated Parents. Who Should Attend? Mental health professionals in private practice or agency settings who have a minimum Master�s level degree in counselling, clinical psychology, social work, or a similar social science and must be licensed to practice in a state/province. There are few therapists that have had advanced training in how to handle these cases and the need is great. If you are a mental health professional and this is a specialty that interests you, you could make a powerful contribution to the distressed families that are affected by a serious dysfunction that far too many divorcing parents and their children experience. Upon successful completion, participants can optionally purchase a customized Certificate of Completion and have his/her name placed on the referral database at the International Institute for Parental Alienation Studies (IIPAS) for $20.00 CDN (includes tax and S&H). The IIPAS receives numerous inquiries for referrals to professionals who are trained in proper assessment, diagnosis and treatment for PA/PAS throughout the US and Canada. For more information on the agenda,learning objectives, travel info, fees, and how to register for this program, please click on http://parentalalienationhelp.org/events Would you and/or your organization like to sponsor Dr. Kathleen M. Reay to provide a workshop for alienated parents, mental health professionals or legal professionals? Please submit your inquiry to the above-noted email address. Dr. Kathleen M. Reay, a leading Canadian expert on PA/PAS will be a live guest on Studio 4 http://studio4.ca from 9 a.m. - 10 a.m. PDST. The host of this show is Fanny Kiefer, a highly respected Canadian journalist and talk show host who has interviewed the political elite, famous world-renowned authors, global influences, visionaries, artists, creators and unconventional characters. Dr. Reay will be providing a significant amount of up-to-date information on the differences between irrational alienation and rational alienation. Wednesday, April 25, 2012 8:15 a.m.
Join us for the 3rd annual Bubbles of Love Day event in honour of the 6th annual Parental Alienation Awareness Day, celebrated globally in over 22 countries! Bubbles will be provided. Family fun event. Rain or shine. CEPC - Barrie - Courthouse Public Rally - Bubbles of Love - "Flash Mob"
Given that seventy five to eighty percent of parental alienation and hostile aggressive parenting cases occur in the context of divorce or separation and our court system facilitates such family devastation; I am organizing a Barrie Courthouse Public Rally in the morning from 9:30 to 11:00 during which time we will be gathering signatures for a Government Bill for Equal\Shared Parenting, followed by a Kempentfelt playground "Flash Mob" @ 12 noon for "Bubbles of Love"; on this year�s 7th Annual, Parental Alienation Awareness Day - April 25th, 2012. The purpose of doing the courthouse rally is to demonstrate that we the people mean business and that our "Status Quo" has to go! The bubbles of love demonstrates just how fragile the love that a child has for both parents during divorce or separation is, and how if you attempt to contain that love, the bubble will break and so will that child's love for one of their parents which is why we should not contain the bubbles, nor should we contain a child's love for both mom and dad - and what could be more peaceful then blowing soap bubbles?! Bubbles Of Love Day April 25 2012 Join us for our 2nd annual event taking place at the COVENT GARDEN MARKET at 130 King St London Ontario. This year should prove bigger and better than last years.So tell your friends and come on out and enjoy the fun. Will be handing out 100 copies of Proclamation from His Worship Mayor Gordon Van Tighem to Municipal, Territorial and Federal task force teams as well as several health professionals, lawyers, judges and politicians. Een groep ouders (NL-BE) geconfronteerd met PA is aan het onderzoeken of het mogelijk is om op 25 april een bijeenkomst te organiseren bij het drielandenpunt te Vaals. Wie organiseert er mee? Eine Gruppe von Eltern (NL-BE) PA ist zu untersuchen, ob es m�glich ist, ein Treffen bis 25 April im vorliegenden drei L�nder Punkt zu organisieren. Wer es organisiert? A group of parents (NL-BE) facing PA is to investigate whether it is possible to organise a meeting to 25 april in the three countries point to Vaals. Who organized there? The book Divorce Poison by Richard Warshak is given to members of the parliament. We invite you to read articles about Parental Alienation and its negative effects for children, parents and society on our website: www.kpor.pl They are Polish written, but they can be easily translated into other languages, when you use Internet browser tools. Because of lack at primary PA conception and strong and effective propaganda attacks against PA conception and its author we do not recommend to promote activity against PA to do not damage effects of your efforts on Parental Alienation Awareness Day. I invite you to read about my research on Parental Alienation and its negative effects in Poland on the website (Polish): https://sites.google.com/site/maciejwojewodka/home/alienacja-rodzicielska-w-polsce---przyklady-i-pytania-badania-wstepne My research have been begun under auspices of European Creativity and Innovation Year 2009 in Poland. European Creativity and Innovation Year was established by European Parliament according to application by European Commission. We invite you to read articles about Parental Alienation and its negative effects for children, parents and society on our website: www.kpor.pl They are Polish written, but they can be easily translated into other languages, when you use Internet browser tools. Because of lack at primary PAS conception and strong and effective propaganda attacks against PAS conception and its author we do not recommend to promote activity against PAS to do not damage effects of your efforts on Parental Alienation Awareness Day. For the third year Pappa-Barn Kristianstad will arrange a Bubbles of Love event in Kristianstad, Sweden. Bring the kids, family and friends and show that children's best interests must come first. 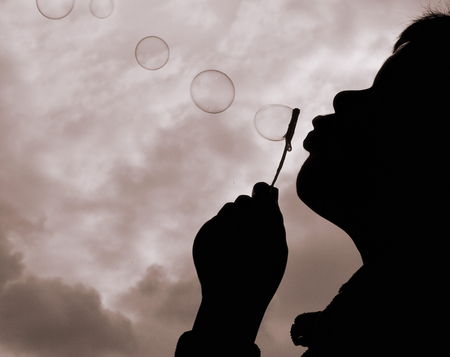 Bubbles will be blown starting at noon to show that just like bubbles, LOVE cannot and should not be contained. Bubbles of LOVE Day DFW! Bubbles of LOVE Day DFW 2011 was the biggest Parental Alienation Awareness Day/Bubbles of LOVE Day event in the 6 year history of the event. Ever anywhere in the WORLD!!! Bubbles of LOVE Day DFW featured 2 locations, more than 200 attendees, Dr. Richard Warshak, and had the support of 12 mayors and cities in DFW. 2012 will be even bigger and even more fun. Event starts at 11:00. Bubble blowing is at 12:00. Bubbles will be provided. Bubbles of LOVE Day DFW is family and pet friendly. Conveniently located in Central Park in the Shops of Southlake, all you have to do is show up and blow bubbles! Please contact Wendy Archer for media coverage, sponsorship opportunities and volunteer opportunities. 2nd Annual Parental Alienation Awareness/ Bubbles of Love Day event Saturday April 28th 2012 @ Se 60th(crosstreet is Duke) in Brentwood Park. 11am-2:00 Come blow bubbles sharply at noon to spread love to kids around the world that are separated from their loving parent due to parental alienation. The bubble is a symbol of love and how it should take us higher and should not be contained. Free literature on pa, pa resources and info, free "kids need both parents" stickers, and lots of bubble blowing fun! Life size panda for the kids! Few snacks. Bring a picture of you and your child together last. To bring awareness to the public and press! This will be the second time we have had this event in Springfield. Planning a bigger event this year than last. The bubbles represent Love, how love takes us all higher, and how just like bubbles, love cannot and should not be contained. Please come out and help us Blow Bubbles to show the Children that is alright to love both parents. Parental Alienation awareness day. We're meeting at the Steps of the State House in Montgomery, Alabama at 11am sharp. Talk with state reps for support of April 25th being designated as Parental Alienation Awareness Day. Let�s help educate the law makers and general public on the devastating effects that parental alienation has on our children. We�re inviting all churches, organizations, school, daycares, businesses, neighborhoods in our cities and surround communities to �Blow soap bubbles representing LOVE on April 25th�. Georgians everywhere are invited to the 1st Annual Bubbles of Love Day in Loganville, Georgia! We will be blowing bubbles at the Loganville Toddler Park behind City Hall on Pecan Street in downtown Loganville, Georgia. Feel free to bring kids, friends, anybody that wants to support honoring alienated children everywhere in a fun, supportive way! Love & Laughter Will Come Together for N.E. Wisconsin's 1st Annual Bubbles of Love Event! We will be there starting at 11:30am with BUBBLES at NOON! Please come & share in this Very Special Event & Help Us Blow Bubbles of Love to Create Awareness about Parental Alienation! Education & Awareness = Prevention! Bubbles provided as we will only be using "green" bubble products! a casual dinner with an information table/booth and victims of parental alienation will speak. approaching mayors in our city and surrounding cities for PAA proclamations. Mayor Jerry Sanders has proclaimed April 25, 2012 as Parental Alienation Awareness Day in San Diego! Please join me, and many others, in raising awareness of this form of emotional child abuse among families on April, 25th, 2012 @ noon in Pepper Grove Park, within Balboa Park, by blowing bubbles to represent love for the children through our Bubbles of Love Event! Just like bubbles, love should flow and float freely to the children, by BOTH parents. All children deserve to give and receive love by BOTH parents. All those involved with children and families; the family courts, lawyers, judges, social workers, mental health workers, health care workers, teachers, and day care workers, need to be aware of this ongoing problem affecting innocent children everyday. This is a family friendly and pet friendly event! Bubbles will be provided! We will be spreading awareness starting at 10 am and will be blowing bubbles at exactly 12 pm. Hope to see you there! Please contact me if you are interested in donating or volunteering for this event. Orlando Parental alienation awareness and bubbles of love day! We curently need people and a location! please contact me if you are in the area and are interested! Mayor Dyer sighned a Proclamation!! awesome for Orlando Thank you Mayor Dyer! Bubbles of Love for the "lost" children of PA. Join us on Tanner Beach to blow bubbles and raise awareness of this under recognized form of child abuse and emotional assualt! We hope to see you there! This is my family along with other alienated parents i know from our small town we r going to blow bubbles in the wind for our "lost" children! please join us! Bubbles for love. Each bubble is a child being alienated. Alienation is abuse on our children. At dusk we will light a candle for the children we know that are being abused by alienation. Our goal is to also educate as many people as we can. On Wednesday April 25th, The Toby Center in conjunction with the Chamber of Commerce for Palm Beach County, will hold the official ribbon cutting ceremony as well as acknowledge the 7th annual Parental Alienation Awareness Day. The festivities will take place at The Toby Center Offices from 12-2pm and admission is free and open to the public. Food and refreshments will be provided. please someone contact me regarding parent alienation and what can be done. 3 months since my daughter has not been with me. i will be going to court next week. d.a. has dropped all charges and father is still keeping 13 yr. old daughter from me. Courts either do not or fail to recognize parental alienation, so using this term in court will get you no where. Hate to be harsh, but that has been my experience as well as listening to others. You may be lucky as well in having an attorney who understands or "gets" parental alienation, but their hands may be tied by the courts. I have also found that judges tend to listen and take what a teen or pre-teen has to say about their wishes. I know does not sound good, but as a target parent we have to hold our head high, not fall for the hot buttons being pushed and continue to love our children, no matter how difficult it is. Let your daughter know you love her, continue to say it as well. You have given me a topic to write about, so please come back for my new topic. We need help in Japan. 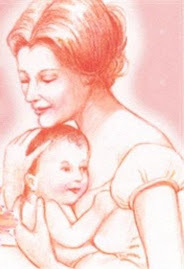 Leftbehindparentsjapan is one of our websites. I don't have any access or parental rights to my only son since the march 2011 earthquake. Cleaning Services Vancouver BC - Dura Cleaning INC is a company wich provide professional natural green cleaning services for offices and houses in Richmond, Vancouver, North Vancouver, West Vancouver, Burnaby, New Westminster, Coquitlam, Port Coquitlam, Port Moody, Surrey, Delta, Ladner and Other Lower Mailand Areas. Cleaning Services, Maid Service, Home Cleaning, Office Cleaning, Green Cleaning. كل هذة الخدمات مقدمة من شركة ركن نجد كذلك خدمات شركة تنظيف بجدة معتمدين علي الكفائة المهنية التي نتشرف بتقديمها لكم عملائنا الكرام وكذلك المعدات والماكينات الحديثة التي تمتلكها الشركة في سعينا الدائم لكي نكون افضل شركة تنظيف بجدة . The opinions represented through my writings are my thoughts and beliefs, based from my own personal beliefs, experiences, observations or simply how I am feeling. This blog comes with no guarantees, and the content might contain errors. I am not responsible for the content of any sites that are linked to this site. Any writings that I state as "fact" can be documented and I will attempt to provide the documentation. All documentation can be found from public records and/or other means. I am not responsible for user comments, nor do their comments necessarily represent my opinion.